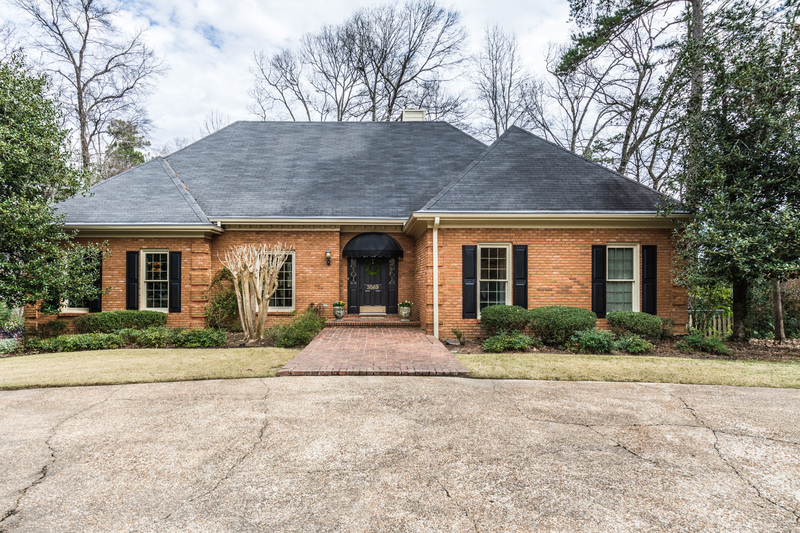 Mt Brook home has great curb appeal w/its charming circular drive. 2-story foyer includes an open stairwell & wide-cased openings to the dining room & great room. Great room features a fireplace & windows, wet bar w/mirror-backed glass shelves, cabinets & built-in ice maker. Custom kitchen includes fluted cabinet molding, granite countertops, marble backsplash w/decorative accent tile above the range, 2 ovens, warming drawer, appliance garage, island & a built-in desk. Master & the powder room on the main level. Master suite has a bedroom, dressing room /double vanity, large walk-in closet & BA w/ tile shower & separate jetted tub. Glass doors opening to a sunroom make the perfect sitting room/den off the master BR. Upstairs has 3 BRs, 2 BAs, large walk-in hall closet and 2 walk-in attics. Downstairs has a full unfinished basement that includes a a 2 car garage, storage room & plenty of extra space. Main level laundry room, covered screened deck & open deck space w/views!